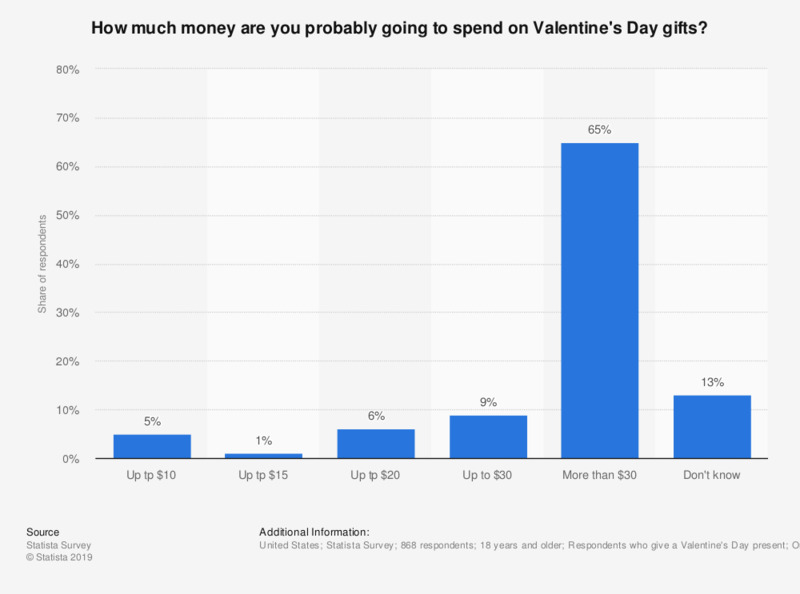 This statistic shows the results of a survey among Americans in 2018 regarding their planned expenditure on Valentine's Day gifts. During the survey, 6 percent of respondents stated they plan to spend up to 20 U.S. dollars. Original question: "How much money are you probably going to spend on Valentine's Day gifts in total? If you don't know exactly, please estimate."